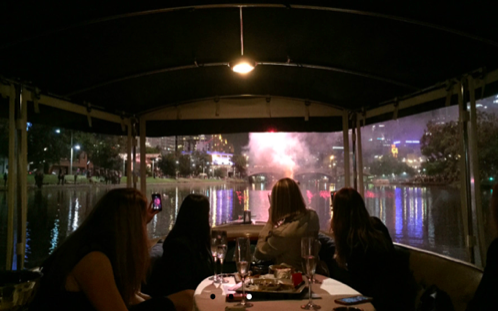 Celebrate the New Year on-board with us with a hassle free Yarra River private cruise to see in the new year.Experience the New Year’s Eve fireworks in Melbourne with your friends from the best vantage point you can imagine! 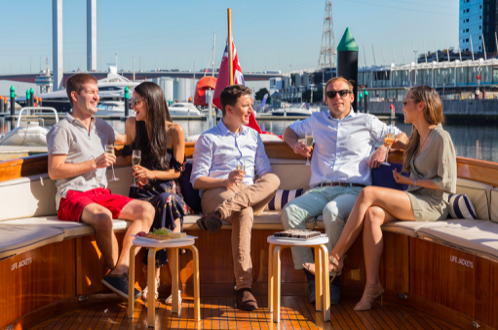 Only exclusively available for small intimate and private groups, our luxury New Year’s Eve Yarra River Cruises will see you ring in the New Year in style and comfort. We have only 4 cruise options available ranging from 6 persons to 35 persons with food and beverage packages available. See the 9:30pm and midnight fireworks whilst cruising on Melbourne’s waterways.Don’t struggle with the crowds, ring in the new year in style with your friends. Contact us to book.